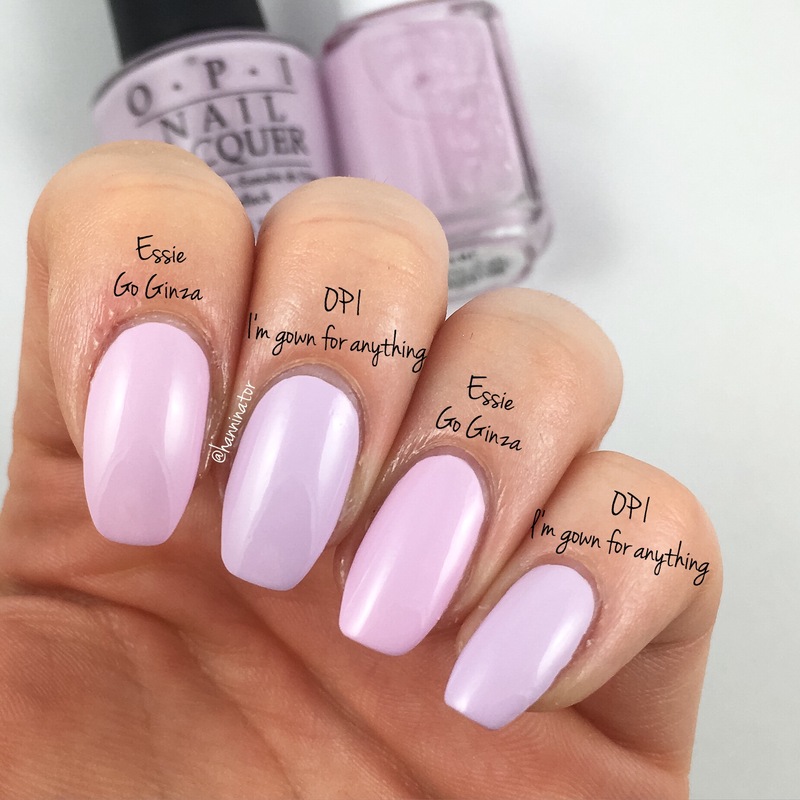 Today I’m gonna show you a comparison between I’m gown for anything from OPI and Go Ginza from Essie. Comparing the two bottles next to each other they pretty much look like dupes. But are they? 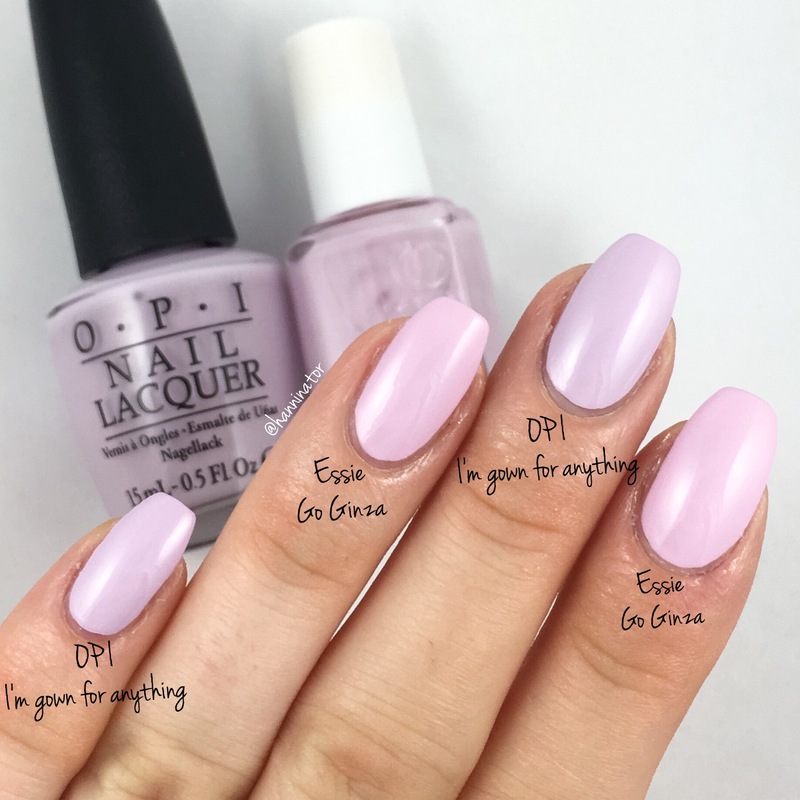 On my nails you see two coats of each polish. Formula wise Go Ginza is a bit thinner than I’m gown for anything. You could get away with just one coat of I’m gown for anything, but with Go Ginza you’ll need two coats.